At OpenTable, we love what happens around the table – particularly the connections. Now, the release of iOS 10 gives us new ways to connect you with great restaurants right where you search for them – and to connect with your friends to make booking a table a more social experience. Get the latest OpenTable app now, plus upgrade to iOS 10 to get going. OpenTable in Apple Maps: Apple Maps has always been a great way to find restaurants near you, and today it gets even better. 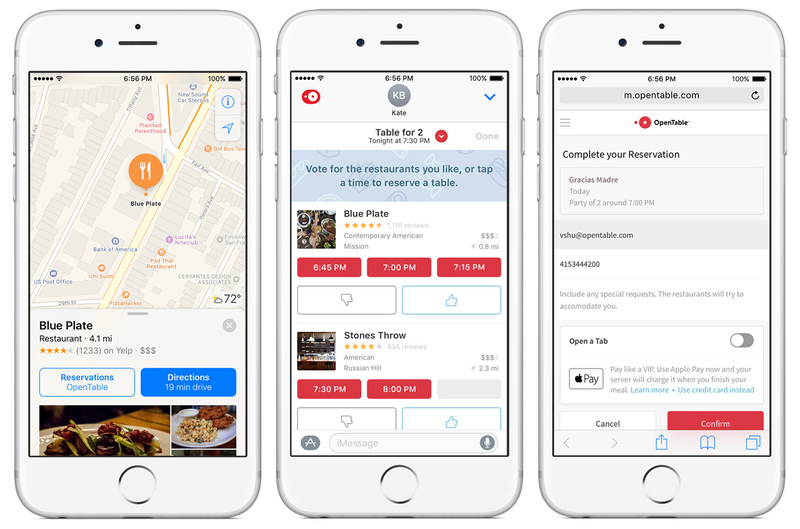 With iOS 10, you can make OpenTable reservations without leaving the Maps app. Just find a restaurant, tap the OpenTable Reservations button; pick a time; and confirm. The Apple Maps extension is now available in the United States, Canada, Mexico, and will be rolling out to other countries in the future. OpenTable in iMessage: Ever wish planning a meal with friends was easier? Now, you can finally make getting to the answer of “Where should we eat?” more fun! 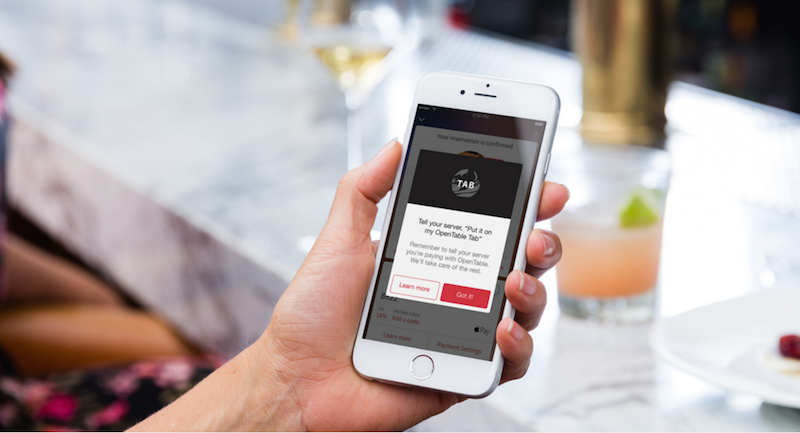 OpenTable’s iMessage extension allows friends to suggest restaurants to try, to vote on favorites, pick a winner, and book–all directly in Messages. It’s a fun way to pick the perfect place for a date, a lunch with coworkers, or a get-together with friends. 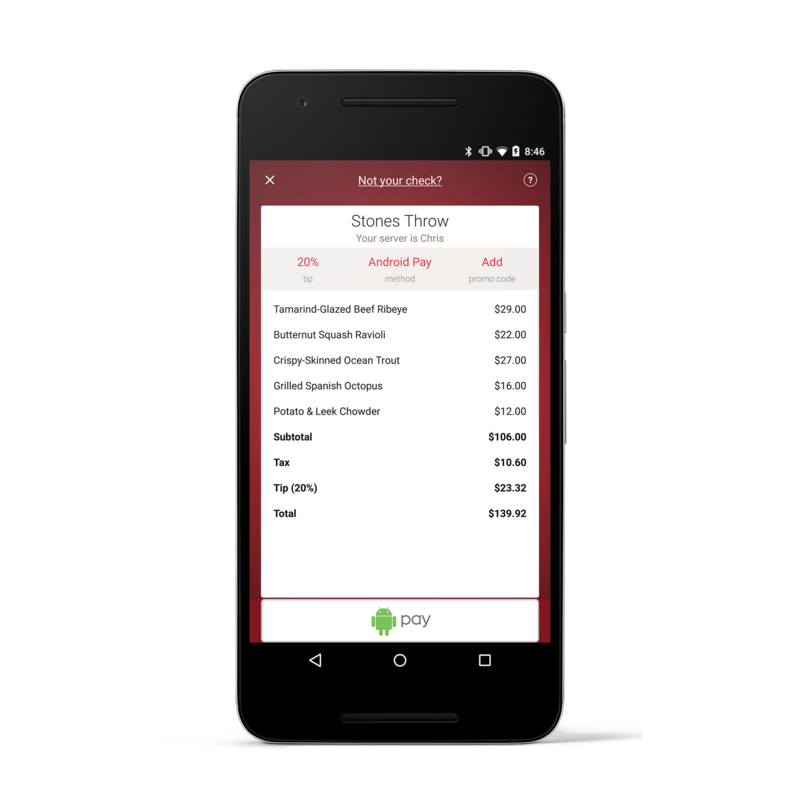 This year has been an exciting year for us here at OpenTable, particularly for our Android app and Pay with OpenTable feature. Since we launched the feature for Android in March, we’ve seen incredible adoption and are humbled by the great stories our users tell us about their experience paying with the app. 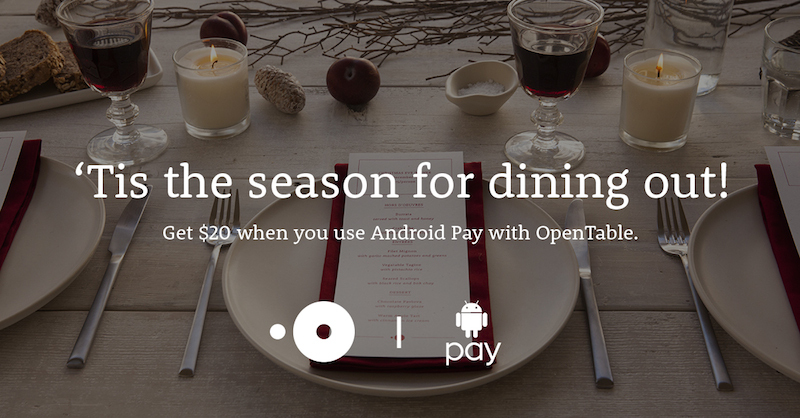 Today, we’re excited to announce that Pay with OpenTable now supports Android Pay! 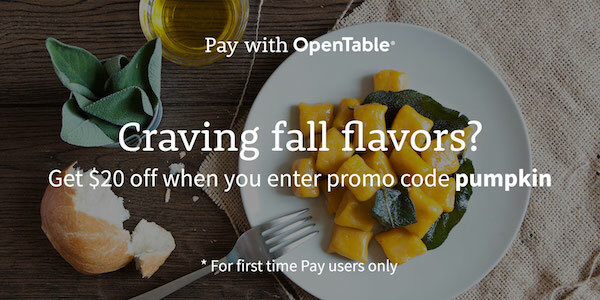 * Make a reservation and dine September 29-October 4 at a restaurant that accepts OpenTable mobile payments.